Enough with the hotel buffet business with the night before... 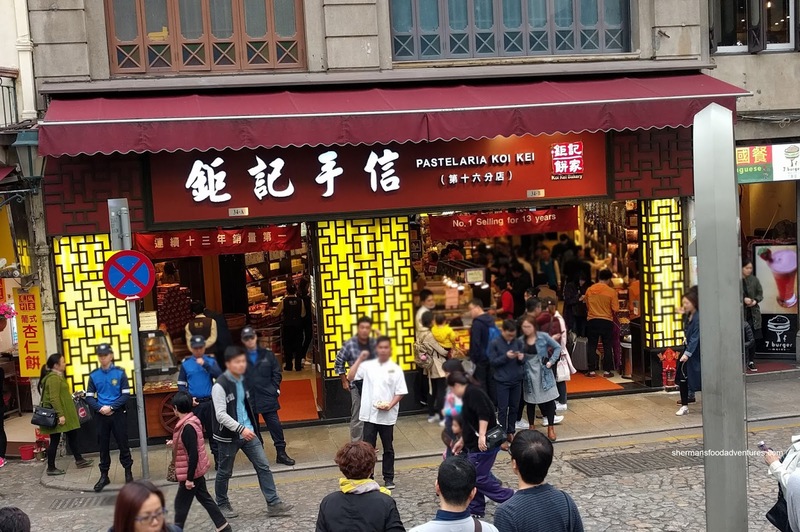 It was time to venture out into Macau and have some real eats. That would involve driving from place-to-place, but fortunately for us, we had a friend take us around. Seeing how the traffic and crazy driving along the narrow streets, it was a good thing as I would've been super-stressed otherwise. After a delicious lunch at Miramar, we headed out to the beach and then onto Lord Stow's Bakery. 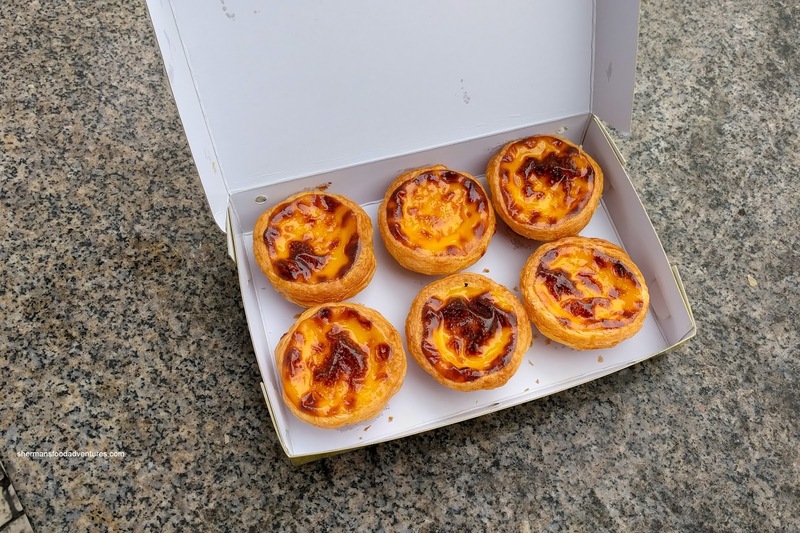 So how good can a Portuguese Tart be anyways? I've already had one at the ferry terminal in Hong Kong and those were pretty solid. Well, one bite into these warm suckers and it was love at first bite. 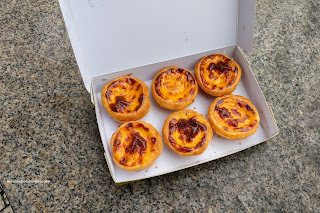 The firmly crispy tart shell shattered and was super flaky and buttery. Inside, the custard was firm yet silky while being super aromatic. It was only lightly sweet with the natural flavour of the coconut milk coming through. Yah, these were worth the drive. However, one could technically get these at a closer location to the casinos as well. 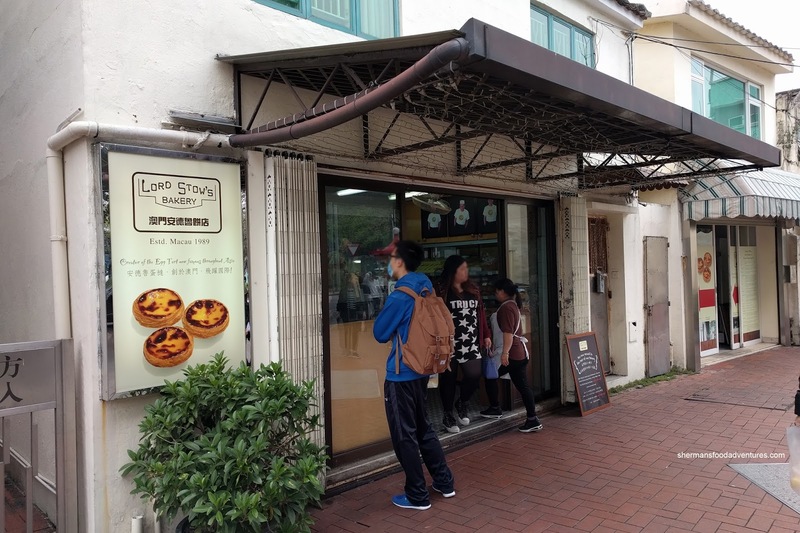 From Lord Stow's, we made our way back into town and meandered our way through the narrow streets to a small little shop famous for their freshly-made almond cookies. Okay, so why were we lining up for some Almond Cookies at a little shop in the middle of bustling Macau? Apparently, these are the best in town and not like the usual ones one would find in a grocery store. Good enough for us, so we queued up at Chiu Heong like the rest of the lemmings. 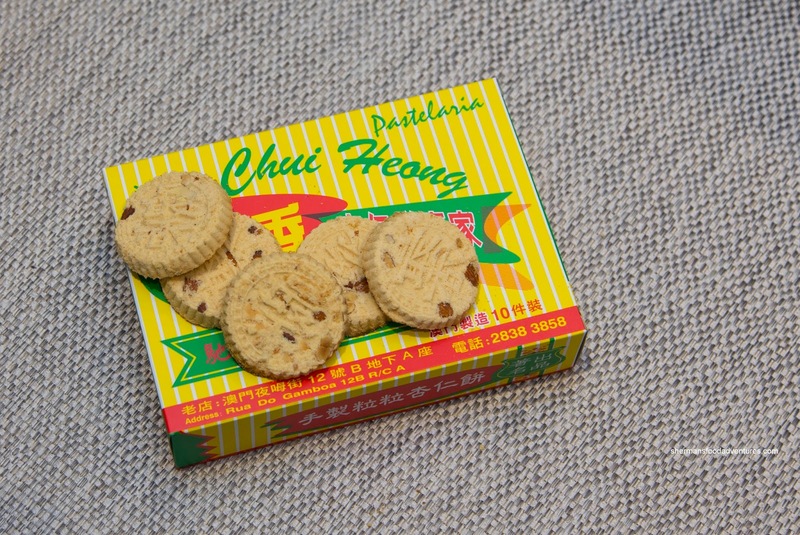 Turns out that these were good! With a firm powdery snap and crunch from the little nuggets of toasted almond, these cookies were addictive without being sweet. They were more aromatic and nutty than just plains sweet. We finally deviated from our plan and did the touristy thing and visited the ruins of St. Paul's. We took our pictures and then proceeded down the steps over to Koi Kei for some jerky. We decided on Pork Jowl and Spicy Pork. Similar to Singaporean style jerky, the one here was moist, sweet and only lightly chewy. The one difference is that they were not charred and less sweet. We enjoyed the thickness of the jerky as it added an extra meatiness to it. The pork jowl was a bit spongy, but in a good way. 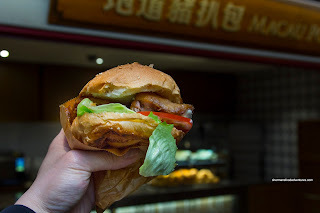 Lastly, we had the obligatory Pork Chop Bun, but at the Studio City Casino. It was okay, but please do your self a favour and eat one at a legit place instead. 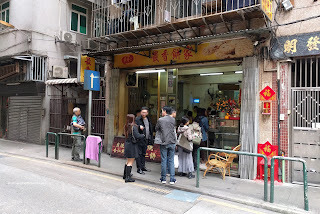 So there you have it, some random eats in Macau.